The 2011 Boys and Girls State Teams to compete in both the Australian Junior Amateur Championships from April 13-15 and the Junior Interstate Series in NSW from April 18-21 were announced at Mosman Park Golf Club recently. The boy’s team includes Ben Croft (Joondalup Country Club), Jarryd Felton (Gosnells Golf Club), Oliver Goss (Royal Fremantle Golf Club), Lukas Michel (Lake Karrinyup Country Club), Alex Nicholson (Joondalup Country Club), Stefan Reeves (Joondalup Country Club), with Michael Montgomery (manager) and Ross Metherell (coach). Goss will be competing in his third junior series and is currently the third ranked Boys’ Amateur in Australia after top five finishes at the Greg Norman Junior Masters (equal 3rd), Victorian Junior Masters (3rd), Tamar Valley Cup (2nd) and Tasmanian Junior Masters (3rd). Goss was also the youngest state senior team representative since Rick Kulacz when he competed at the Senior Interstate Series in Queensland last September. Michel will be making his second series appearance after solid performances at the Greg Norman Junior Masters (equal 11th) and the South Australian Junior Masters (equal 10th). He recently took out the Vines Junior Open tournament. Croft, currently ranked 13th in the National Boy’s rankings, will be making his series debut along with Felton, Nicholson and Reeves. The team will be trying to bring back the National Series title to WA for the first time since 2000 with Jason Scrivener as the last West Australian to take out the Boys Amateur Championship. The girls’ team includes MinJee Lee (Royal Fremantle Golf Club), Whitney Harvey (Melville Glades Golf Club), Hayley Bettencourt (Mandurah Country Club), Hannah Green (Mount Lawley Golf Club), Zoe Kemp (Mandurah Country Club), Alyssa Keir (The Vines Golf and Country Club) with Shonna Gobby (manager) and Ritchie Smith (coach). 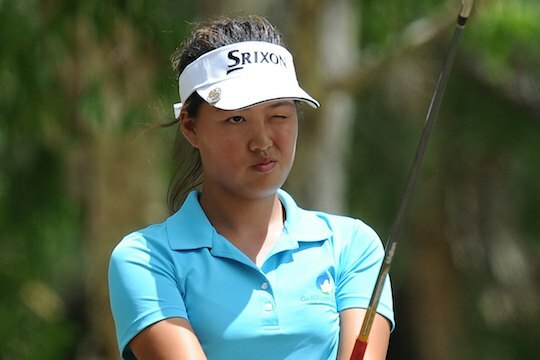 MinJee Lee is currently one of five members on the Australian National Junior Team. She was the winner of 2010′s Greg Norman Invitational Masters and Aaron Baddeley International Junior Championship. Currently ranked fifth in the Australian Women’s Amateur Rankings, this will be Lee’s third appearance at the Junior Interstate Series. Harvey is currently ranked 16th in the Australian Women’s Amateur Ranking. She will be playing in her third Junior Interstate Series. She was the runner-up in the 2010 WA State Amateur Championship. Bettencourt was the runner-up at the 2010 WA Girls Amateur Championship. She will also be competing in her third Junior Interstate Series. Green is the youngest member of the team and playing in her first Interstate Series, while Kemp and Keir are also making their series debuts. The team will be trying to bring back the National Series title to Western Australia for the first time since 2005 with Whitney Hiller as the last West Australian to take out the Girls Amateur Championship.